ukulele, flute, clarinet, saxophone, violin, viola and music theory. 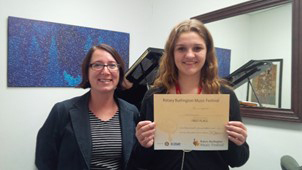 Our music lessons are second to none! Whether you want to learn to play classical rock, pop, classical or anything in between, we can design a program just for you. 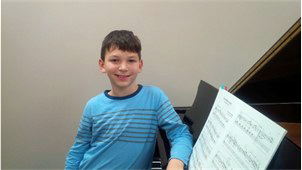 We can help you to prepare for the Royal Conservatory of Music exams in piano, voice, classical guitar, clarinet, saxophone, flute, violin or theory from Grade 1 to ARCT level. On any given night at our music school you’re bound to find working professional, retirees and music enthusiasts who are eager to learn. We care about how fast and how well you or your child are learning. We communicate regularly with parents about any concerns and give you tips on practice habits. Scientific research has proven that music is good for your health and your brain. Music can reduce stress, increase your lung capacity, calm babies and improve recovery from a stroke. Wow! Enrolling in a music school is simple – just give us a call, visit our website or come in for a tour. We never charge a registration fee. We teach all ages - kids, teens and adults. 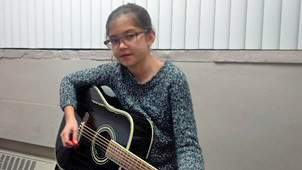 Enrollment is on-going so you can start your music lessons anytime! 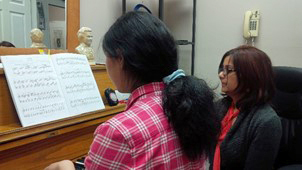 Take lessons at our music school and you'll get a fantastic learning environment. We take great care to provide the best equipment and service so you'll have great experience. We are professional musicians who teach. In reality we are much more than that. We are creative interpreters who translate the notes on the page into expressions of feelings that move hearts and minds. We teach people to apply this artful knowledge into inspiring performances at competitions, recitals and auditions. Your music lessons are just a phone call or click away! Call today!